The DAP International College is open to professionals and students from 13 years of age, with the opportunity to dance with the Guest Company and the Students' Gala. The young choreographers will have the opportunity, after a selection, to present their creations on stage at the Civic Theatre (Teatro Comunale) of Pietrasanta or in the Sculpture International Park of Pietrasanta. One of the highlights of the Dap Festival is the educational experience it offers in its Master Classes, to be taught both by master instructors, and the national and international choreographers selected through the Choreographic Platform launched by the DAP Festival. A solid professional base of Classical dance is offered throughout the College with renowned Master Teachers. 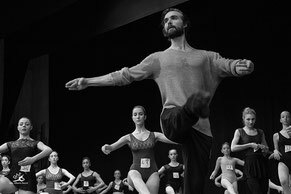 Daily Master Classes include Ballet, Contemporary and Repertoire, Improvisation, Choreographic Composition, Gyrokinesis for dancers, and Pilates. 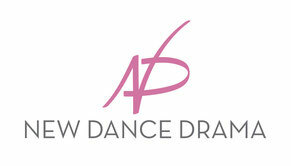 New Art Dreams (NAD) is the Cultural Association "New Dance Drama" Project for the Promotion of Contemporary Dance. 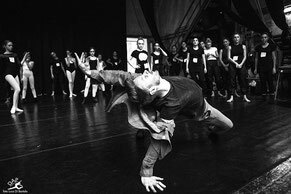 International Teachers, including the guests choreographers selected , offer a wide range of master classes to the DAP College students. The DAP Festival is an international choreographic initiative to raise the profile of dance and choreography, and increase the connection between dance and the world of visual arts. In this first edition of the DAP Festival, the School will include scholars and dancers of advanced level (ADV group) and intermediate level (INT group), with each group composed of a maximum of 35 people . 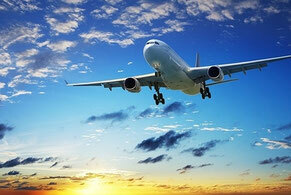 To book your travel and hotel deals contact our Travel Agency Partner.